Allergic rhinitis, or hay fever, is no fun. Hay fever symptoms include nasal congestion, drippy nose, sneezing, itching and puffy eyelids, and being tired. These symptoms can be made worse by irritants such as cigarette smoke or perfumes. Hay fever is not just a nuisance. It can affect one’s productivity and quality of life. And symptoms can get worse as you grow older. The term “hay fever” can be misleading. You do not need to be exposed to hay or have a fever to have symptoms. There are two types of hay fever. Seasonal hay fever is caused by pollen or mold spores. Perennial (all year) hay fever includes symptoms year-round. It can be caused by dust mites, pet dander or cockroaches. Children are especially susceptible to hay fever. They can suffer from irritability, sleep disorders, decreased concentration and limited activity. Children can miss school, suffer academically and be unable to be involved in athletics. Their symptoms can also be mistaken for attention deficit disorder. With proper treatment, allergy symptoms can be controlled and disruptions in learning and behavior can be avoided. An evaluation by an allergist is key. The doctor will discuss how to avoid the things you are allergic to or lessen their effect. Often, medications can help with symptoms. Immunotherapy (allergy shots) may also be an option. 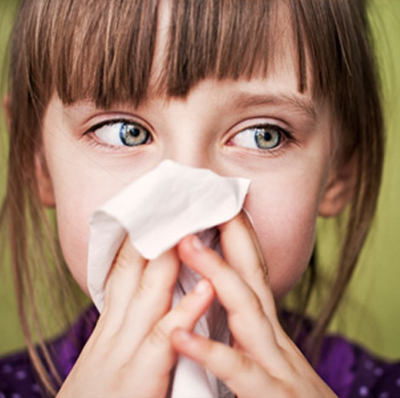 There is evidence that immunotherapy in childhood can prevent further allergies and the development of allergic asthma.